Larissa Katz holds the Canada Research Chair in Private Law Theory. Prior to joining the Faculty of Law in 2013, Professor Katz clerked for the late Justice Charles D. Gonthier at the Supreme Court of Canada, worked in litigation at Sullivan & Cromwell LLP (NY) and taught at Queen’s University, Faculty of Law. Professor Katz has been a visiting fellow at the John Fleming Centre for the Advancement of Legal Research at the Australian National University, a Visiting Professor at Sciences Po (Paris) and an HLA Hart Visiting Fellow at the Oxford Center for Ethics & Philosophy of Law, Oxford University. 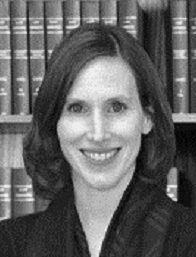 Professor Katz actively works on issues in law and policy in Canada and the United States. She has presented to and consulted for the Department of Justice and Aboriginal Affairs and Northern Development on aboriginal title and the idea of property in law. Professor Katz serves as a member of the International Advisory Panel for the American Law Institute’s project on the Restatement of the Law (Fourth), Property.